In recent years, the use of medicinal cannabis has expanded, and cannabis has been decriminalized or legalized in many states. In addition to these changes in cannabis policy, there has been significant increase in the types, number, and potency of available products. Due to these changes in policy and availability, inadvertent cannabis exposures in children have been on the rise, leading to significant adverse events. ACMT believes stakeholders should implement measures to prevent pediatric cannabis poisonings. 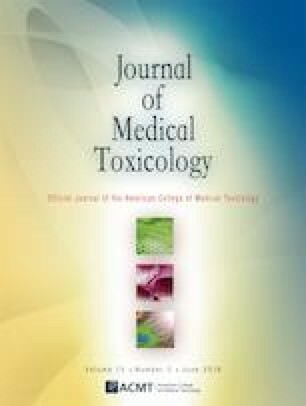 While individual practitioners may differ, these are the positions of the American College of Medical Toxicology (ACMT) at the time written, after a review of the issue and pertinent literature. Substance Abuse and Mental Health Administration. Highlights of the 2011 Drug Abuse Warning Network (DAWN) findings on drug-related emergency department visits. The DAWN Report. 2013. https://www.samhsa.gov/data/sites/default/files/DAWN127/DAWN127/sr127-DAWN-highlights.pdf. Accessed 14 Feb 2019.